Former President, Chief Olusegun Obasanjo has disclosed that loss of values in the society and high rate of criminality and delinquencies amongst the youth forced him to write ‘Tortoise stories’ books . Obasanjo who spoke in Abeokuta at 2017 International Youth Variety Day and Public Presentation of volume one of Olusegun Obasanjo’s Books for Children said it was sad that the youths of nowadays lack morals and values. The former President who went down memory lane to recall his Yola prison experience during the period of his incarceration during the late Gen. Sanni Abacha-led military regime, said his interaction with the young inmates revealed that some of them were suffering from high level of loss of values which he said was responsible high rate of criminality and delinquencies. The event was part of activities of the Grand Opening of the Olusegun Obasanjo Presidential Library (OOPL) and 80th birthday of Obasanjo. The former President accused the religious institutions, parents, teachers and community leaders of not living up to the expectations which he said has put the country in its present situation. He said, “One area of our lives where we have to do a lot of work is in the area of values. “When I was growing up, if people don’t know your source of sudden wealth, such a person was isolated and ostracised. “If your father went out at nights, it was likely that your father was a thief. And we other children were asked to keep away from children of such character. “How do we bring back these values? When I was in prison in Yola, I interviewed some young men in that prison,i was shocked with what i found out . Given the level of criminality and deliquencies in the society, you have to blame the teachers, schools, churches, mosques, community leaders among others. “But where do we begin to make correction? One of the ways are the story books I have written. I started writing the ‘Tortoise stories’ while I was in Yola Prison. Now the Volume 1 is being presented today”. Meanwhile, former President Obasanjo has disclosed that his desire to know the exact day he was born made him to travel to India where he met with astronomer , but, could not achieve is aim. Obasanjo who acknowledged that 1937 might not be the exact date of his birth, said, he was convinced that he was born around the year considering the age of some of his childhood friends. 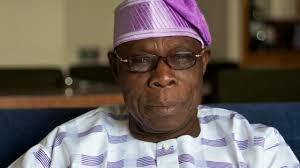 Obasanjo had insisted that, he was born in 1937 on market day in Ifo in Ogun State. 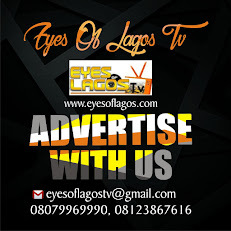 He said “‎I do not know the date of my birth, then, I used to ask my mum that ‘mama they said we should come to school with our date of birth and my mum will say you are very stupid, you are born on Ifo market day. And whoever wants to know the date of your birth, tell them you are born on Ifo market day. “She explained that all she could remember was Ifo market day. she was ready to go to Ifo market that day before she went into labour , before those that went to market comes back ‎I have already been bone. “That then led me into the trouble of trying to find out when I was born, I was not as lucky as some of my colleagues that have their date of birth . In fact, I went to an astronomer in India, I told him to look at my palm and tell me my real age, but ,all he told me was that I will have longevity of life, but, that was not what I went to do. So, I concluded on the date that I have chosen. While speaking on the Presidential Library, Obasanjo said there was institutional memory in the country, adding that the nation was careless with what it ought to preserve as a national treasures. He argued some of the national museums which he had visited are nothing to write home about. He however , said that his Presidential Library which was modeled after the US Presidential library, saying, when opened would bridge the gap between the attitude and behavior of not preserving the national treasures. “One of the confusion in peoples’ mind is that Presidential library is the same as normal library. And I see many people sending books to me. The Library is for the both young and old. I also believe that it might start bridging the gap in our behaviour and attitude about our carelessness in preserving our national treasures . One of our behavioral pattern and attitude is that we have no institutional memory; that is what brings about the idea of Presidential library. If you go into our national Museums it is pathetic”, he said.